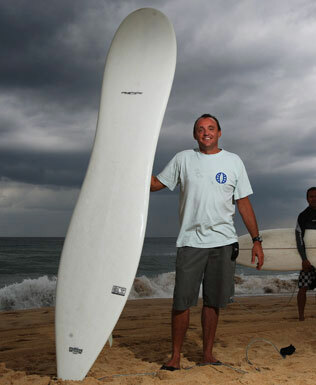 American Thomas Meyerhoffer has won Australia's 2010 International Design Award for his groundbreaking surfboard design. Evolution? Revolution? Future surfing solution? The Meyerhoffer is possibly the most radical design innovation in longboarding for a generation. Maverick designer, Thomas Meyerhoffer, is renowned for his innovative product designs including the ground breaking eMate. 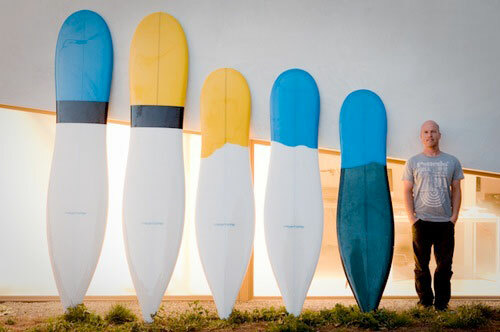 His quest was to merge industrial design processes with his passion for surfing. All boards are constructed in SLX to ensure maximum responsiveness. We have glassed all boards with white tinted epoxy resin. They have 2 x 6oz on deck and 1 x 4oz bottom with a 6oz patch on the fin area. 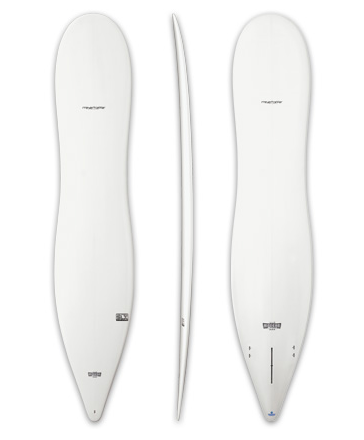 We give the boards the gloss polish finish and they come standard 6” or 8” Centre fin and FCS side fins. Designer Cynthia Rowley collaborated with Meyerhoffer for these limited edition versions of the Meyerhoffer board. Purchase the Cynthia Rowley Roxy Meyerhoffer boards here. 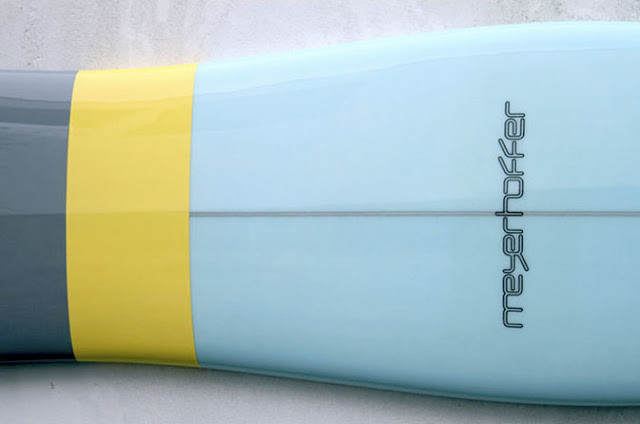 June 7th The most radical design innovation in longboarding for a generation - the Meyerhoffer Surfboard last night won a very prestigious Australian International Design Award! The Australian International Design Awards, a division of Standards Australia, is recognised by the Commonwealth Government and the International Council of Societies of Industrial Design [ICSID] as Australia's peak design assessment and promotion body, and for its important role in fostering a culture of design and innovation in Australia. The judges said the board was a ''major design innovation'' that would create ''global shockwaves''. Manufactured by Global Surf Industries (GSI), this ultra-modern take on the traditional Longboard by world renowned industrial designer Thomas Meyerhoffer brought design excellence into the realm of the everyday surfer last year, increasing the ultimate experience. The groundbreaking design propelled surfing into mainstream consciousness around the world. 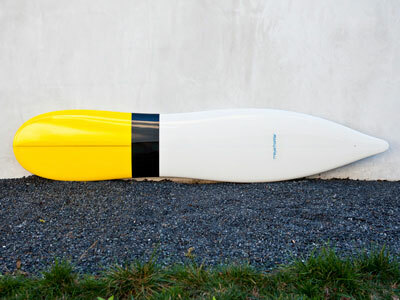 Designer of this radical surfboard, Thomas Meyerhoffer, was "over the moon" about receiving the prestigious award. "To be recognised in a country where surf culture rules and is part of everyday life for so many people, is truly special", said Mr. Meyerhoffer. "I owe many thanks to Mark Kelly of GSI for his vision and surfing skills. 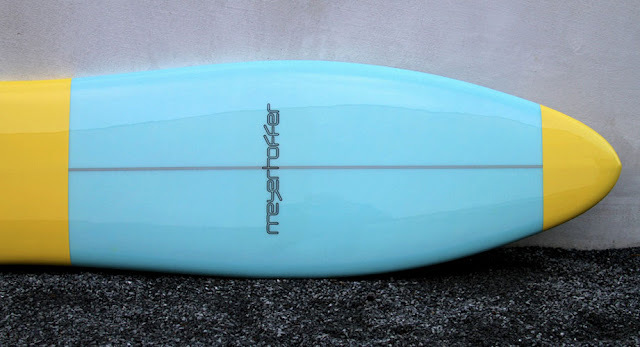 Almost two years ago now Mark tried a Meyerhoffer prototype and was convinced that he was surfing better than ever! 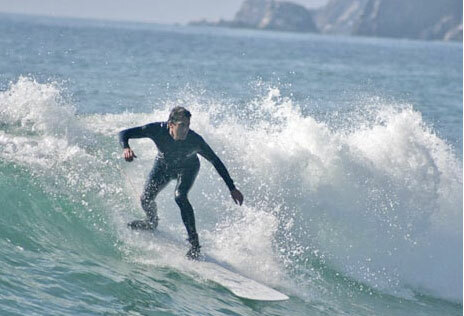 Now because of Mark, the board is surfed and enjoyed by many surfers worldwide. I'm a proud winner of an Australian International Design Award, but I ultimately hope that the endorsement from the award will make more people to try the board - open up their minds and get a fuller experience on their next wave." Each section of the board is optimised for maximum performance, the design evolving into an incredibly complex shape with three different bottom contours that transitions smoothly into one other with its own purified purpose in an organic and seamlessly effective shape. Just like nature itself. The evolution of the Meyerhoffer has been a process of taking away more than adding to traditional forms, enabling Thomas a greater opportunity to shape the board. From the wide tail through a minimal waist and into a more classic nose, the design brings short board elements into a longer board to maximize speed and turning, provides paddling ease and high performance nose riding. Every element of the board provides the ability for a smooth transition from front to back. GSI'S Managing Director, Mark Kelly, was also in high spirits about being named the winner of the Australian International Design Award. "I am absolutely stoked that we have won this award", he said. "Surfboard design for years has been via fine tuning processes, some so small they can hardly be noticed. 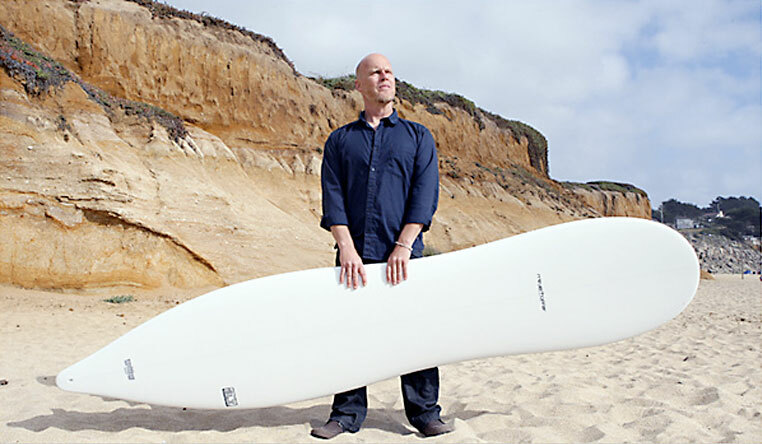 Thomas Meyerhoffer helped take surfboard design a giant leap forward". Evolution or revolution? "I think a bit of both. I am very proud to be part of this design and its launch into the marketplace around the world. The feedback has been great and this award tops it off. "Global Surf Industries is a company for recreational surfers, and I cannot wait to give every surfer out there the opportunity to ride this innovative piece of modern design," concluded Mr. Kelly. 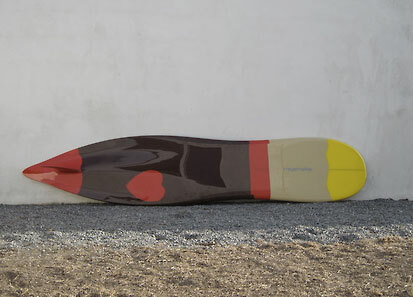 The Meyerhoffer surfboard is also one of 10 winners and finalists that will be part of a special exhibition at the Powerhouse Museum from July 3rd 2010. 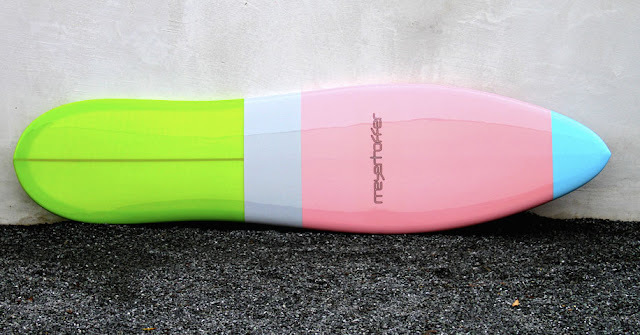 Find a dealer for the Meyerhoffer Modern Surfboard. images courtesy of Thomas Meyerhoffer, Meyerhoffer Surfboards, Global Surf Industries, and other cited sources.